Long Island Longboards may not be a household name in longboarding. Made in Europe these boards provide fantastic value for money for the beginner & intermediate freeride market. The classic board shape from Long Island the drop through Bushido is super versatile and super pretty! 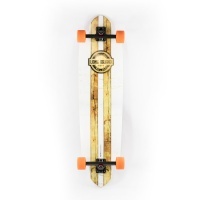 With a real Zebrand wood ply bottom and colour block graphic over the top! 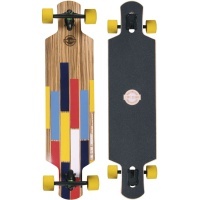 A versatile Freeride style longboard from Long Island, The Trace complete features a grippy 7-ply concave construction, with top mount trucks for good stability. 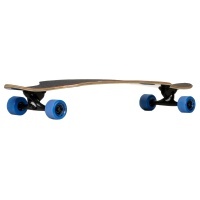 As the name suggests, the Long Island Freestyle Essential longboard provides everything you need to get into freestyle longboarding, with top mount trucks and twin kicktails.